Ideally located.Near the beach(250m).Private and peaceful village,doorman 24h.Near the street of bars and restaurants of Praia da Oura. Estadia muito agradável para 6 pessoas. De destacar a óptima localização da habitação (próxima da praia, restaurantes, lojas, clubes de divertimento nocturno... e numa zona muito tranquila, de fácil acesso e sempre com estacionamento disponível). A casa é suficientemente espaçosa, com óptima zona exterior (jardim e alpendre) e com cozinha equipada com os utensílios estritamente necessários. Recomendável tanto para grupos de jovens como famílias. A casa estava limpa e em boas condições. We had an amazing time here! 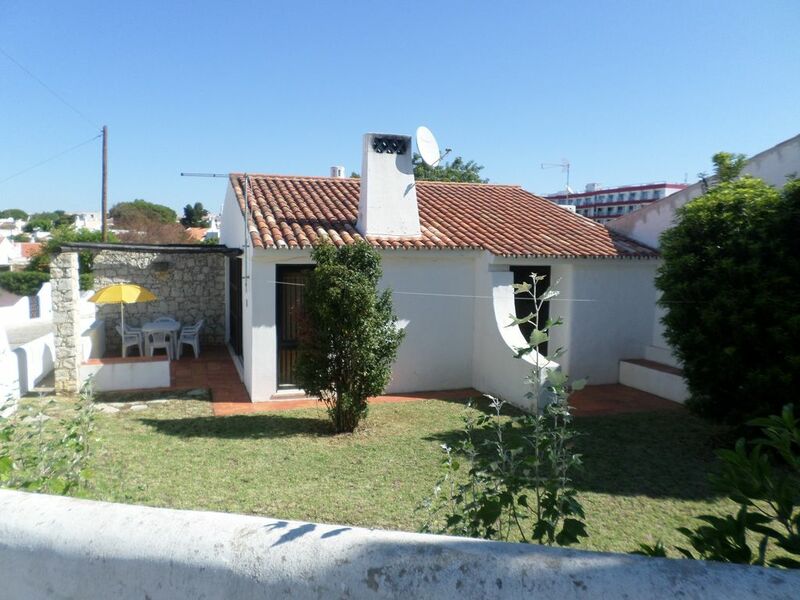 The villa was close to the beach and very close to the nightlife of Albufeira! The contact with the house genator was very good and he was willing to help when we had questions. The kitchen can use some renovation but besides that the house is in good condition! Una casa muy amplia, muy cerca de la playa de Oura, de la calle de bares para salir por la noche y de la discoteca Kiss, y a la vez muy tranquila tanto por el dia como por la noche. Por poner alguna pega es que le falta una piscina, pero el resto genial. Muy apta tanto para jovenes como para familias. Very well located property, only 5 minutes away from Oura beach and 2 minutes away from the nightlife area. It's located in a very quiet complex with easy access and parking. At the check-in we found a lock with the keys inside and we didn't meet anyone responsible for the apartment. The apartment itself clearly needs some renovation and maintenance. The furniture is old, the kitchen appliances are not working very well and the kitchen is poorly equipped. A lot of things were missing and not in very good condition. The house was not impeccably clean, specially the bathroom and the kitchen utensils and appliances (glasses, dishes, pots and pans we had to clean it all). Almost half of the lightbulbs were missing or not working and there was no ventilation at all (no A/C or fans) so the property could get very warm, specially while sleeping. Overall it was a good experience for the location (that we already knew), but not for the apartment itself. Take the A22 motorway,exit at Albufeira.Take the direction of Praia da Oura,then turn on the last street on the rigt, before you reach the beach. sinal/entrada ao reservar. Entrega das chaves pelo proprietário.